At 8.3% average grade for over 5 miles, this is one of the toughest cycling climbs in the area. Beginning on San Marcos Rd. off of Cathedral Oaks Rd., the route can be connected to E. Camino Cielo, Foothill Rd, or Gibralter Rd. for a longer ride. First, take San Marcos Rd, which turns into Old San Marcos Pass, the original route over the mountains. After 3 miles, cross over highway 154 to Painted Cave Rd. The climbing gets steeper on Painted Cave Rd with some grades around 12%, but it has some of the best views as you climb higher and higher to East Camino Cielo Rd. You will encounter some of the steepest switchbacks you've ever ridden; but if you choose to ride down the same way up, the banked turns allow for a thrilling, speedy descent. 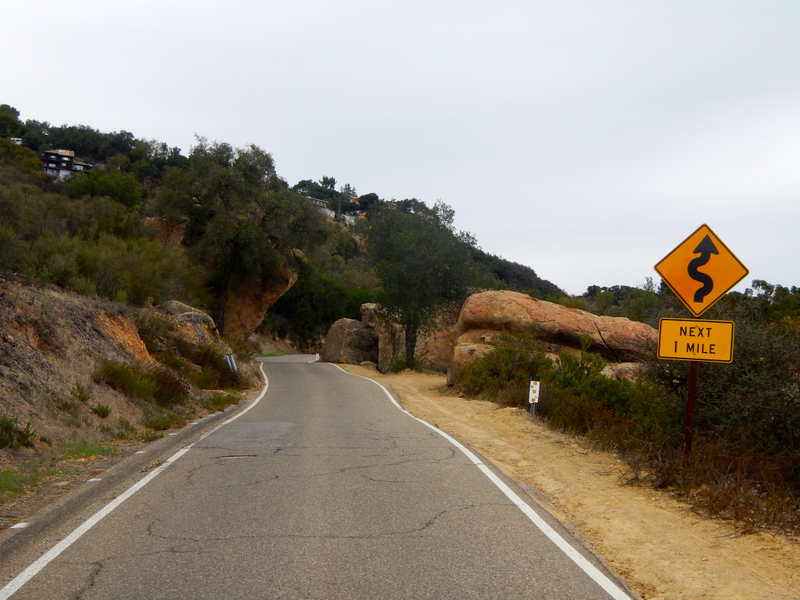 Notice the bouldering area near the top of Painted Cave, as well as the historic Chumash paintings for which the road is named. Finally, enjoy the panoramic back-country views when you reach the top. Turn right to head toward La Cumbre Peak and Gibralter Rd. You better love the burn if you're doing this ride -- the climbing is intense! Even strong riders will be humbled by the steep switchbacks and many will begrudgingly tap into their granny gear to make the climb. The speedy descent can be dicey, so be sure to stay in control. Casual cyclists and beginners could be discouraged from the snail's pace climb up but more experienced riders will love the challenge. Parking is available at Tuckers Grove Community Park (near the intersection of North Turnpike and Cathedral Oaks Roads) or access the climb with a longer route starting in town.